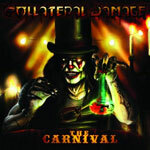 Formed nearly a decade ago, Collateral Damage is an Italian band offering their second release, The Carnival. 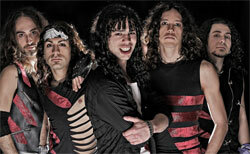 Their sound is pretty much mid to late Eighties melodic hard rock, with an obvious touch of heavy metal. Collateral Damage: Eighties deja vu all over again. We could probably leave our assessment of the band and the album with that description as this is rather derivative, if not generally average, material. With few exceptions nothing really jumps out at you here, at least not to my ears. However, you must give Collateral Damage high marks for their effort. Most songs offer bunches of good riffs and decent rock solos. After that, it's hard tell if Collateral Damage wants to be a hard rock or a heavy metal band. It's all rather blurry. As is the production which seems unnecessarily fuzzy, with only the lead vocals and guitar solos rising above things. Oddly, however, some of the songs catch on, like Drag Me to Hell, Touch of Fire, One Way to Nirvana, and the ballad Seven 00. Basically these are the best picks of the litter; the rest collateral damage. 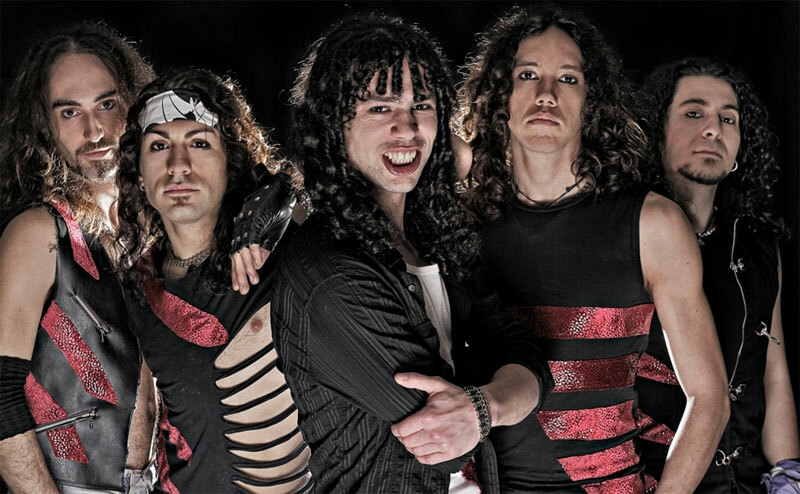 Italy's Collateral Damage offers an interesting, if not derivative and average, platter of Eighties melodic hard rock with metal tones.